Cat Hugs - Do They Give Them, Do They Enjoy Them? 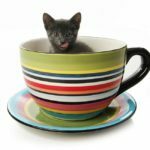 You are here: Home / Cat Facts & Fun / Cat Hugs – Do They Give Them, Do They Enjoy Them? 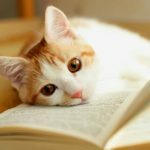 Cat Hugs – Do They Give Them, Do They Enjoy Them? 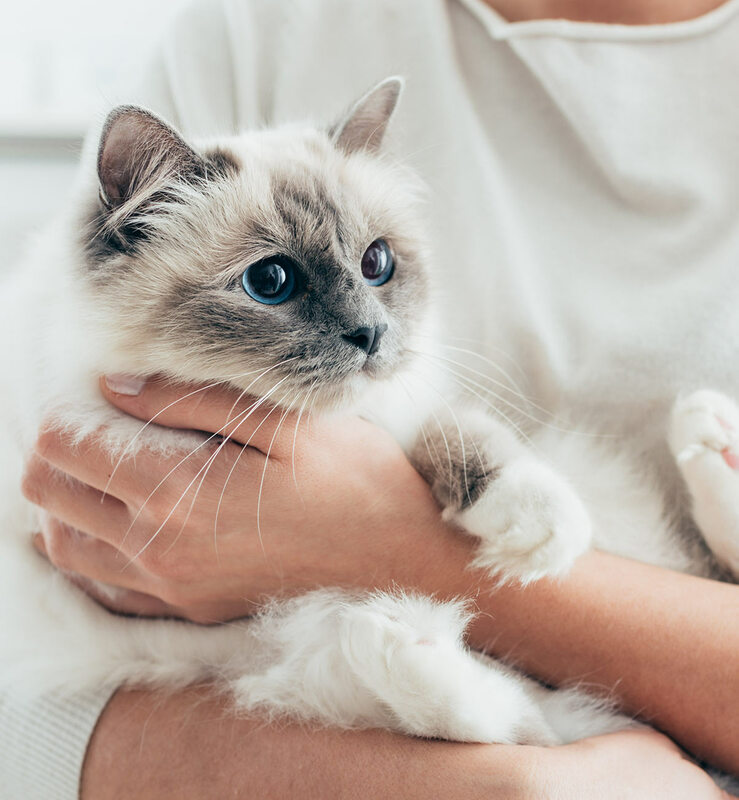 Today our cat behaviorist Claire Hemington reveals all about cat hugs, and whether our cats enjoy them. We all love a good hug, don’t we? I have a friend who visibly cringes when I go to hug her, whilst my sister has only ever appeared to tolerate my ‘hello’ and ‘goodbye’ cuddles, usually responding with what I can only describe as a very ‘limp hug’. What this simply shows is that some of us are more tactile than others, but can the same be said of our cats? 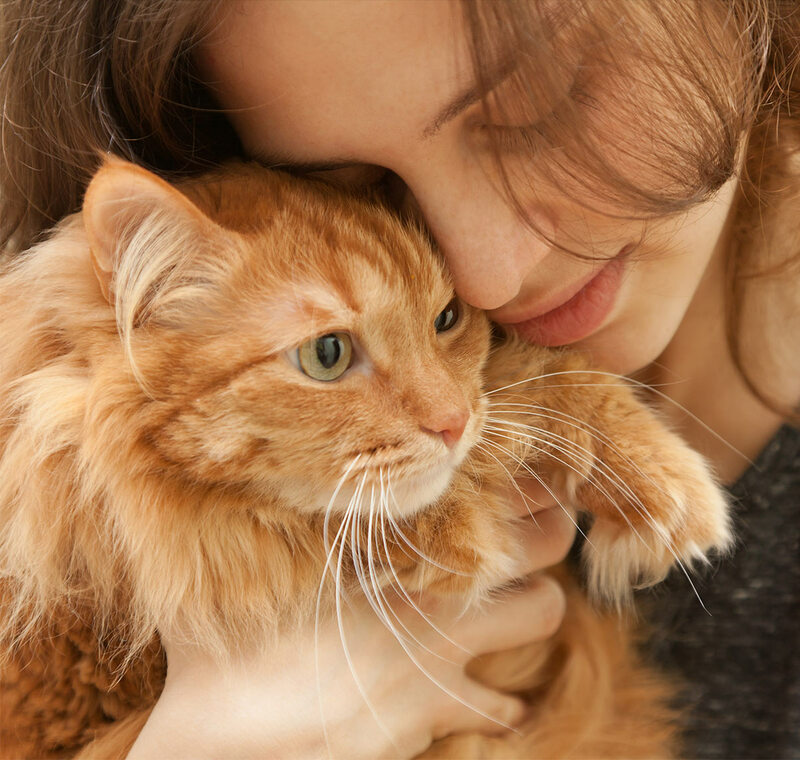 Is hugging something that both people and cats benefit from? A quick Google search will show up hundreds of images and videos seemingly showing cats hugging each other and their kittens, people as well as dogs, ducks, toys, tree branches and inanimate objects! But do cats actually give hugs and do they enjoy being given them? Cats don’t have a very sophisticated sense of social relationships. This is because their African Wildcat ancestor was a solitary predator. So, they probably find our social interactions, and the intentions behind them a bit perplexing. Most people use touch all the time, whether it’s a handshake, holding hands, a light touch on the arm, or attempting to walk together with our arms wrapped around each other’s waist – it’s pretty important to us. So, it’s entirely possible that we might just be seeing a behavior that looks like cats hugging, but as far as they’re concerned is really something else. One of the images I came across during my ‘cute cat hug’ Google search shows two kittens, one standing upright with forelimbs open wide, toes spread and looking at the other kitten opposite him who appears to be sitting nonchalantly on his bum. What’s really going on is that the kitten standing up is using the other as hunting practice, and the kitten sitting down is getting ready to defend himself. Whilst this is obviously meant as a joke, it illustrates perfectly a very human perception of cat behavior. Other images such as those showing cats appearing to hug a toy can also be misinterpreted. Usually what they’re doing is grabbing the toy with their forelimbs and raking it with their hind limbs in ‘bunny kick’ style. This is something cats instinctively do either when playing, or when they’re involved in physical combat with another cat. They do it to inflict as much damage on their opponent as possible, something you’ll know about if your arm has ever been mistaken for a feline adversary! Cats might also look like they’re hugging when they’re curled up asleep together. My two cats Billy and Jimmy used to get themselves in some very strange positions to get as close to each other as possible. I’d like to think this was to do with brotherly love, but suspect that, being fine coated Siamese, keeping warm may have played a part! So, what might look like cat cuddles is probably a position that they’ve got themselves into that coincidentally gives the appearance of being hug-like. It’s clear that us humans are a very sociable species who enjoy physical contact, (especially when it comes to the furry kind). 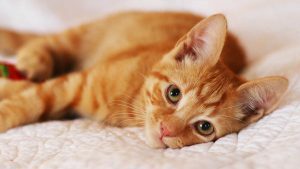 We love our cats and want so much for them to love us back, and to demonstrate it in a way that we understand, but in doing so may just be inadvertently attributing to them, what is actually a very human behavior. That being said, cats are clearly capable of showing great physical affection, it’s just that our interpretation of a hug might be different to theirs! When human mums give birth, they release a hormone called oxytocin which gives them that feeling of intense bonding with their baby. This same hormone is released when cat mums give birth, and it also helps them fall in love with their kittens. It’s wonderful to watch a mother cat caring for her kittens, feeding them, protecting them, providing essential warmth and teaching them how to hunt! But does she hug them? Several years ago, a video showing a mum cat appearing to hug her kitten went viral. In the video the mum is curled up with her kitten and is in what appears to be a light sleep. One of her limbs happens to be under the kitten and the other is over him. The kitten is deeply asleep, probably dreaming, and his little paws are twitching. This seems to disturb his mum slightly as she stretches and then retracts her limbs which gives the appearance of a big old kitty hug. Whilst mum cat is probably unaware of the concept of hugging in the way that we are, it is likely that she is showing an element of maternal protection and affection to her kitten who’s dreaming. 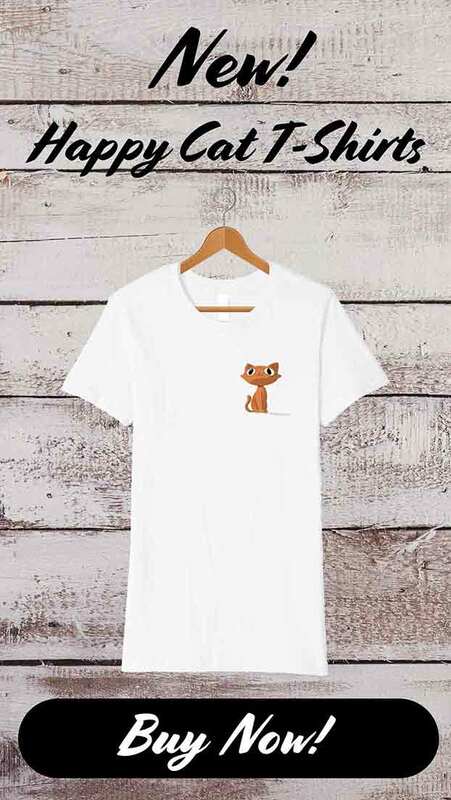 Throughout history cats and dogs have been portrayed as not being the best of buddies, presumably why the phrase ‘To fight like cat and dog’ was coined! A good example is Butch and Tom, from the Tom and Jerry cartoons. And yes, it’s fair to say that these are two species at opposite ends of the social and behavioral spectrum – cats like to assess new situations from a distance, whilst dogs will charge right on in. 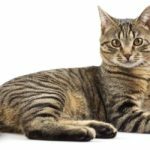 Let’s say a dog approaches a cat, the cat will perceive it as a threat and probably run away, triggering a playful chase response from the dog. It’s clear that neither cat nor dog understand the intentions of the other. So, to get a cat close enough to a dog to hug him might be a bit of a tall order. There are of course exceptions to this, especially where kittens have been raised with dogs and as a result, aren’t afraid of them. They’ll even use them as comfy warm beds and in doing so may get themselves into a position that looks like a cat and dog hugging, and they may continue to do this throughout their life. Cats aren’t born knowing how to interact with humans, they need to learn how to be pets. So why do videos keep popping up on social media showing cats standing on their hindlegs with forelimbs stretched up towards their owners appearing to be asking for a hug? 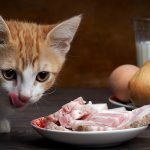 I would suggest that rather than being an instinctive behavior, this is instead something that some cats have learned to do because they know it will lead to an enjoyable interaction. What’s more, they probably do it in response to a signal we’ve given them, either knowingly or unknowingly! Some scientists have even speculated cats are also deliberately inviting their owners to take up their scent via the special secretions emitted from skin glands around their cheeks and ears and maybe this is the reason some cats also wrap their paws around their owners’ neck. In other words, it’s not specifically a hug they’re after (or giving), but the opportunity to be in close physical contact. 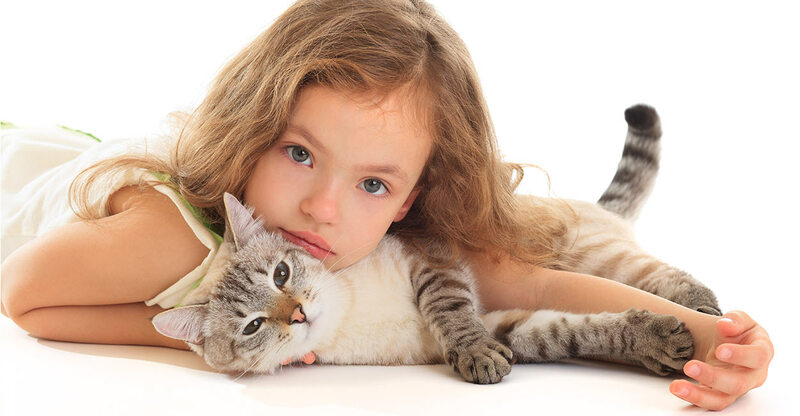 Stroking a cat has all sorts of health benefits for us, it can help reduce stress and improve our mood. Many countries even have a national hug a cat day! But, is it as good for them as it is for us? There are some cats that enjoy physical contact with us, others that can take it or leave it, and yet others that run a mile from a human intent on lavishing them with affection. For those cats that do enjoy our touch, the hug might not be as high up on their list of preferred types of contact as say, a nice chin tickle. This is because cats like to maintain a sense of control, which includes being able to escape from any situation. When we hug cats we’re effectively containing them in our arms and restricting their movement. You can be sure however that they’ll show their satisfaction or dissatisfaction by either relaxing into it and purring or tensing up, growling or struggling. Firstly, it’s important that you understand your cat’s individual requirements for contact. If he’s either in the ‘take it or leave it’ or ‘run a mile’ camp, avoid touching him completely. If he’s a cat that enjoys getting up close and personal, wait until he initiates contact with you before going in for the hug. Always be gentle, keep the contact brief, watch his body language for any signs of distress and always stop before he starts to struggle. Probably not in the way that we think, but by showing us physical affection, as well as allowing us to show it to them, they are almost certainly participating in a social ritual that is strengthening the bond with their owner. 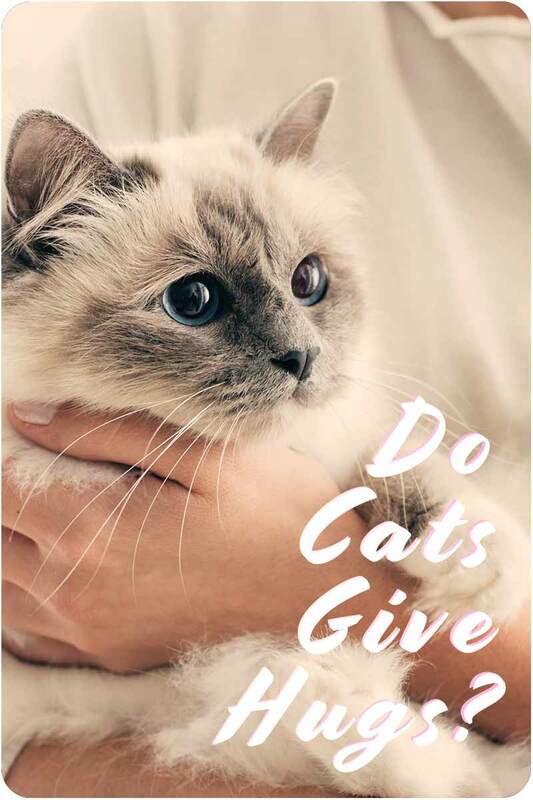 However, it’s wise to remember that when it comes to any type of physical interaction it’s good practice to put our cats in the driving seat and understand that it should be about the benefit and pleasure for them as well as for us. Is Every Day Hug a Cat Day in Your House? Do you have a cat who loves to snuggle, or one who scorns your affection? What’s the funniest thing you’ve found them curled up with? Bradshaw, J., Cat Sense, Penguin, 2013.